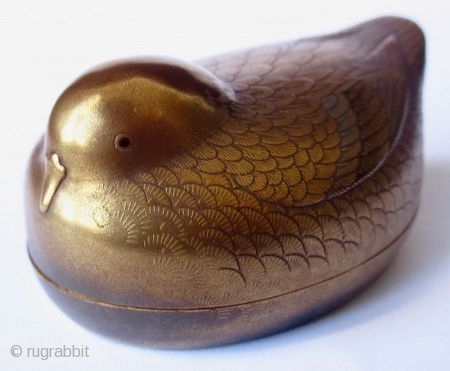 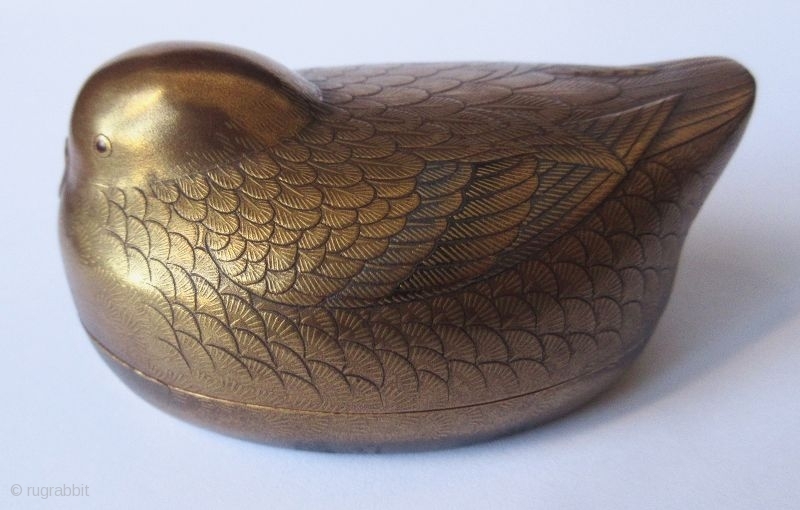 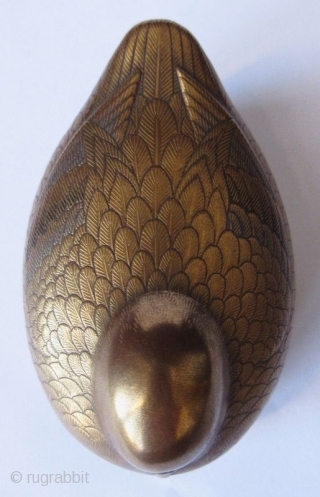 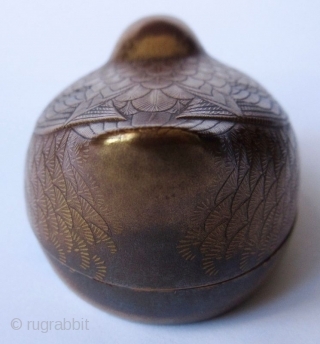 Japanese kogo, or incense container for tea ceremonies, in the form of a small bird with very fine maki-e or sprinkled gold lacquer exterior. 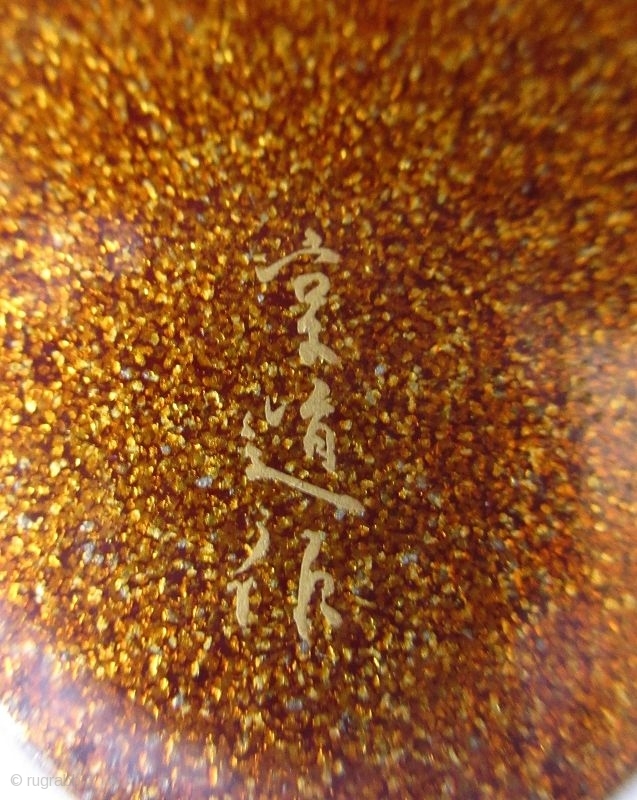 Each feather of the bird is highly detailed in low relief maki-e lacquer. 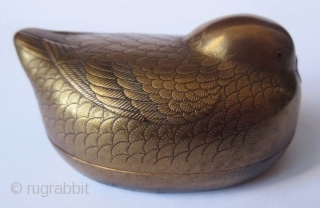 The pupils of the bird are done with very fine red lacquer for contrast. The interior of the box is finished in gold nashiji, sometimes called pear skin due to the resemblance to the Asian pear. 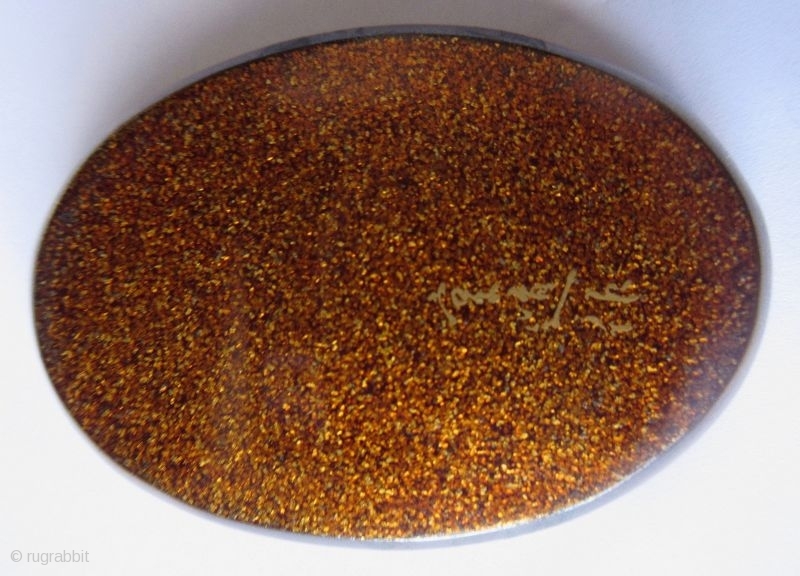 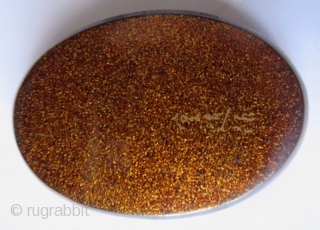 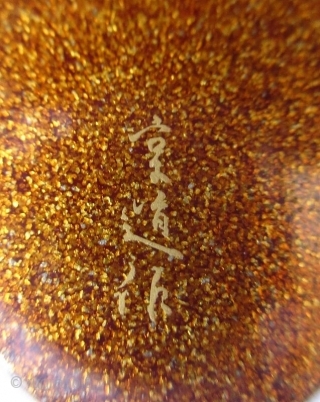 The base is also finished in nashiji lacquer and has the artist's calligraphy signature in maki-e lacquer.